It doesn’t matter whether you have just bought a new place or you’re living in the house your mom used to live in and her mom before that, you want to fall in love with your home. You want to fall in love and you want to fall hard, and that starts with the moment you set eyes on it each day. What could be more soul-stirring and heart-warming than pulling up on your driveway after a long, stressful day at work, stepping out of the car, looking up at your house and falling in love all over again? Just like you did yesterday and just like you will tomorrow. The answer is nothing. The question, however, is how can you have the kind of relationship with your home that Dorothy has with Jerry Maguire, that “you had me at hello,” kind of relationship? 4 Home Decorating Tips for Home LOVE! 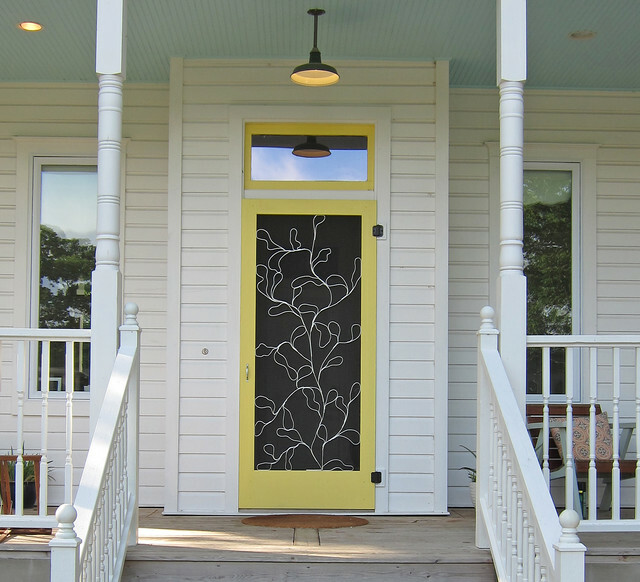 The focal point of a home is the front door. This is your home’s equivalent of a smile, which is why you need to make sure it has the most glorious pearly whites around. However, it isn’t enough to just give your front door a new lick of paint or a fresh coat of stain. Instead, the ultimate way to fall head over heels is to bring in the house painters and give your entire home a good old sprucing up. Just make sure you keep it neutral because it is your door is going to give you the wow factor. Something like a sunny yellow, hot pink or bright red should do the trick. If you’re after a truly idyllic feeling when you get home each evening, then just close your eyes and imagine being greeted by some stone planters bursting to life with flowers that match the color of your door. 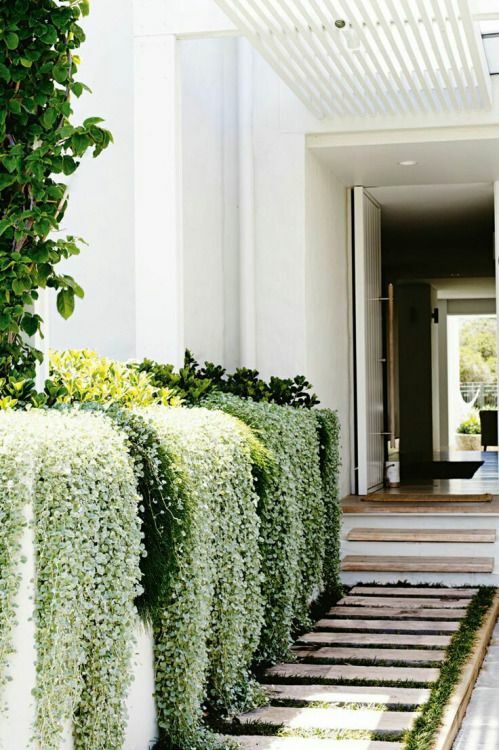 That is how to get a pinch of stunning curb appeal. It could even be that you create a path to your front door with planters of varying sizes, starting small and building up, each one welcoming you with an array of beauty. It is designing excitement as you walk up to your home and believe me it is infectious. Anyone with any experience in life will know it is the little things that make the biggest difference. It is being brought a cup of tea when you’re feeling blue. It is having a spa day once in awhile. It is over-indulging on chocolate after a breakup. And it is coming home to a ‘Welcome’ mat after a rough day in the office. It can be in any typography, font or style you like, so long as it says the word ‘welcome’ it will bring a little smile to your face. It’s the little simple things that make a big difference. 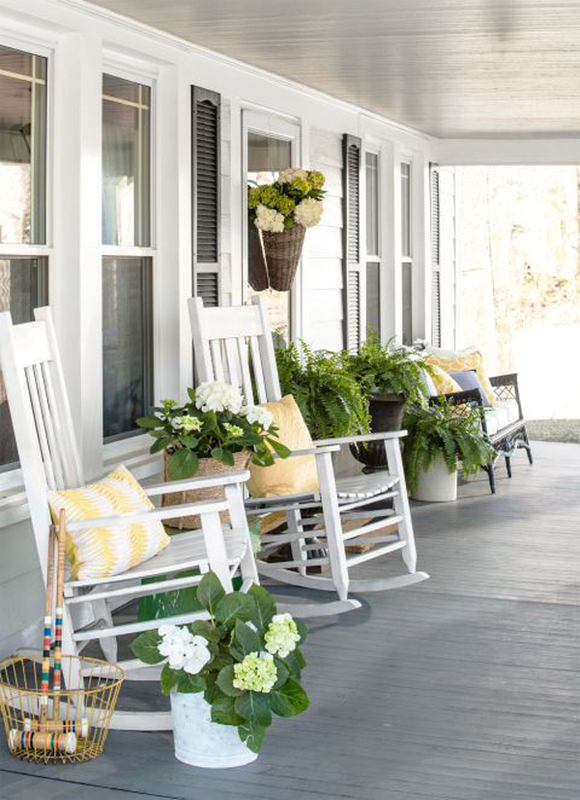 Not all houses allow it, but if yours has the space to do so, then why not create a porch that you will want to hang around in for a little while. All you need to do is add a bench to one side, or a couple of outdoor rocking chairs or even a bistro set and you have everything you need to sit back for a second, compose yourself, say hi to the neighbors and enjoy your home. Add a couple of comfy cushions and a throw and you are set to make a beverage on the porch an everyday habit.